The UK, Norway, Germany, Singapore, Australia, Malaysia, and Oman are the latest countries to temporarily ban the Boeing 737 Max from entering and leaving their countries after the model was involved in the Ethiopian Airlines and Indonesian Lion Airlines plane crashes – two in less than five months. The UK Civil Aviation Authority (UK CAA) said in a press release that it was closely monitoring the situation and will ground all 737 MAXs until further notice. “As we do not currently have sufficient information from the flight data recorder we have, as a precautionary measure, issued instructions to stop any commercial passenger flights from any operator arriving, departing or overflying UK airspace,” the CAA said on Tuesday. “We remain in close contact with the European Aviation Safety Agency (EASA) and industry regulators globally,” the CAA added. According to the CAA, the UK operates five 737 MAX aircraft, with a six planned to commence operations later this week. TUI Group has already received five of its 72 orders, and Ryanair ordered 135, according to data from Boeing. The Irish Aviation Authority said in a statement that it would close its airspace to all 737 MAX passenger flights in and out of Ireland “as a precautionary measure”, adding that the suspensions would take effect at 15:00 CET on Tuesday, using the IAA Act 1993. German transport minister Andreas Scheuer said in an N-TV interview on Tuesday, stating that “safety was absolute”. “Until all doubts have been dispelled, I have ordered that the German airspace for the Boeing 737 Max is now blocked,” Mr. Scheuer said. France’s Directorate General for Civil Aviation also said on Tuesday that it would ban the aircraft from French airspace following the Ethiopian Airlines crash, Reuters reported. Norwegian Air Shuttle also said on Tuesday that it would cease operation of the aircraft until further notice, adding that it was remaining “in close dialogue with the aviation authorities and Boeing”. Norwegian Air Shuttle currently operations roughly 18 737 MAX in its company fleet. Tomas Hesthammer, Norwegian’s acting Chief Operating Officer said in a statement that the company had “taken the decision to not operate flights using this aircraft type until advised otherwise by the relevant aviation authorities”, adding that despite the inconvenience to customers, safety would be the company’s “top priority”. “Flight safety is our priority, Mr. Ekşi tweeted, adding that his company was closely following developments. “We carry out all our operations with the highest level of safety”. The Changi Airport in Singapore is the sixth busiest transport hub, but only a handful of the 737 Max’s operate in the country compared with Australia, where no domestic airlines use the 737 Max’s. Only two foreign airlines — Singapore’s SilkAir and Fiji Airways — fly them to Australia, with the former temporarily suspending operation of the 737 MAX and Fiji Airways soon to be affected by the suspensions due to the company searching for substitutions for its two 737 MAX aircraft. The news comes after Ethiopian Airlines flight 302, a Boeing 737 Max 8 crashed on Sunday, killing all 157 people on board and the deadliest in the airline’s history. The Australian Civil Aviation Safety Authority said on Tuesday in a press release that it had temporarily suspended the operation of Boeing 737 MAX aircraft “to or from Australia”, adding that it was working with Fiji Airlines to “minimise any disruptions and with regulators in Fiji and Singapore”. Shae Carmody, CASA CEO and director of aviation safety, said in a statement that the temporary suspensions were “in the best interests of safety”. 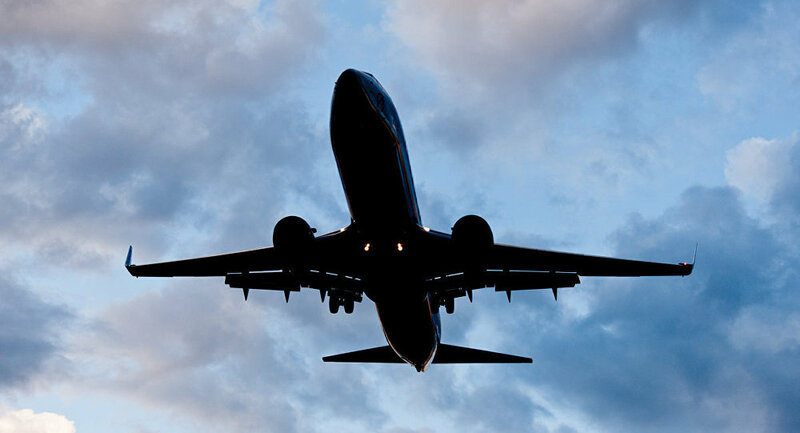 The Oman Civil Aviation Authority said that it was “temporarily suspending Operations of Boeing 737 MAX aircraft into and out of all Omani airports until further notice”. Ahmad Nizar Zolfakar, CEO of the Malaysian Civil Aviation Authority said on Tuesday that “none of the Malaysian carriers operate the 737 MAX 8” and that CAA Malaysia was suspending all operations of the plane “until further notice”. South Korea’s Eastar Jet, which owns two B737-8 aircraft, will ground all Max 8s starting Wednesday. “We have advised Eastar Jet, the only South Korean airline that owns the B737-8 (two aircraft) — the same model involved in the Ethiopian Airlines crash — to ground them,” South Korea’s Ministry of Land, Infrastructure and Transport ministry said as quoted by AFP. “Eastar Jet has agreed to do so, and told us it will suspend the aircraft’s operations starting Wednesday,” MOLIT said in a statement. Indian low-cost airline Jet Airways has also grounded all five of its 737 MAX aircraft, with the country’s aviation regulator DGCA issuing three further directives for Jet Airways and Indian low-cost carrier Spicejet on Monday. Chinese airlines were some of the first to respond to the crisis by grounding all 737 MAX aircraft, affecting China Southern Airlines, China Easter Airlines, and Air China, among others.